توسط برنامه Bookends میتوانید اسناد و فایل های خود را اسکن کرده و ذخیره کنید. در منابع موجود اسناد مورد نظر خود را پیدا کرده و آنها را به سادگی ضمیمه کنید. 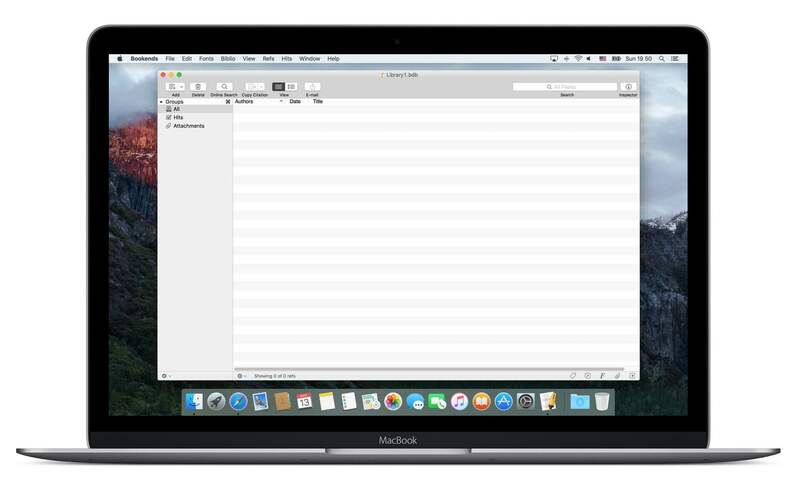 Sync reference libraries via the cloud. The old mechanism for syncing Bookends databases has been removed. Refactored DOI detection in Bookends Browser. Improved DOI detection in PDFs. Display author first names as initials in the reference list. Italicized words in a title will toggle to plain text if the format calls for an italicized title. Importing from Google Scholar will work when you have set the language in Google Scholar to Turkish. The arXiv id will be imported into User1. If TeX markup is enabled, smart open and close apostrophes will be converted to ` and ‘, respectively. Updated Google Scholar search to deal with changes made by Google. When using Bookends Browser, Command-] and Command-[ will move forward and back, respectively. Improved retrieval of conference proceeding metadata from CrossRef. Bookends will use an en dash rather than a hyphen in a citation group with a sequential range of reference numbers. Modified formats will be copied, not moved, to the Custom Formats Folder. Global Change -> Modify PDF Tags has an updated UI. If an attachment or library is on an external volume such as a server, Bookends will not attempt to mount the volume if it’s not already available. Improvements in the generation of BibTeX keys. Limit the length of file names that Bookends suggests for attachments. Added smart quotes for Polish. Citation identifiers in Sente XML files will be imported into the User20 field. 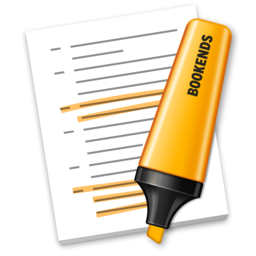 Bookends will ignore images in notes when importing references from Sente XML. Made changes to the Bookends Browser JSTOR parser to deal with changes made by JSTOR. The update notification dialog is much more informative. Detection of accented capital letters for services such as small caps is much improved. Drag a browser’s PubMed reference link onto a static group to import to that group. Remove a PDF Finder tag associated with a library. If you use a custom reference Type whose name contains the characters “[Book]” or “[book]”, Bookends will enable the Refs Replicate As Book Chapter menu item.